A Manchester-based consortium of public and private sector interests has hired Lexington to fight for the HS2 high speed rail link in the North of England. The Greater Manchester HS2 Communications Steering Group brought in the agency after a pitch. PRWeek understands that a main thrust of the work will be to argue the case for the rail link, which has faced increasing calls to be scrapped in recent weeks. An agency source said that the work would involve stakeholder engagement and ‘making sure the economic benefits for the North and more widely the UK were understood’. 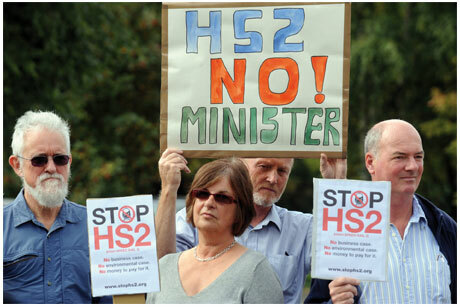 The work to support HS2 was ‘more urgent than ever’ because of recent negative publicity, the source said. The consortium is chaired by Manchester Metropolitan University vice-chairman John Brook and includes Manchester City Council CEO Sir Howard Bernstein and Manchester Airport Group head Charlie Cornish. Construction on phase one of the line, which runs from London to the West Midlands, is to start in 2017. However, the second phase linking the West Midlands to Leeds and Manchester recently underwent public consultation. The plans have come under attack across the political spectrum, including by former Labour minister Peter Mandelson, after the construction budget rose by £10bn to £42bn. It is understood that the work will be run out of Lexington’s Manchester office and will last at least six months. Manchester City Council confirmed the appointment, but declined to comment further. In April, HS2 brought in Andy Taylor May from the Association of Train Operating Companies to become its head of public affairs.